Our organic "He Shou Wu" is made from the highest quality Sichuan Polygonum multiflorum roots (Di Tao) and prepared by steaming with Chinese black beans. It is widely used in Asia to maintain the youthful condition and color of the hair. 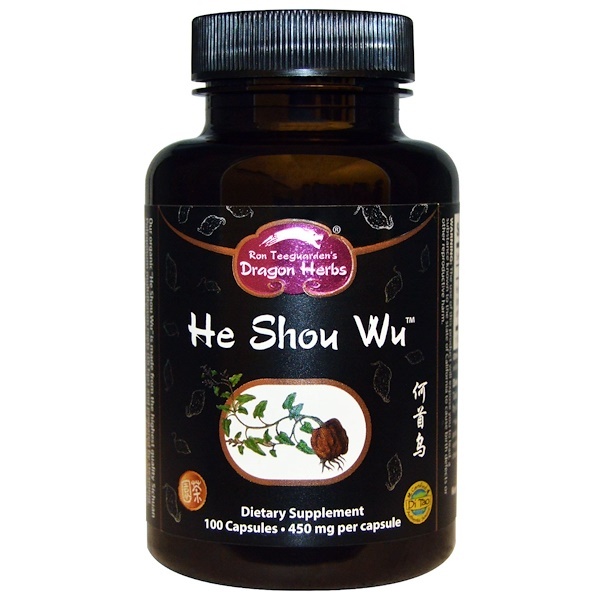 "He Shou Wu" is one of the most important Chinese tonic Jing herbs. 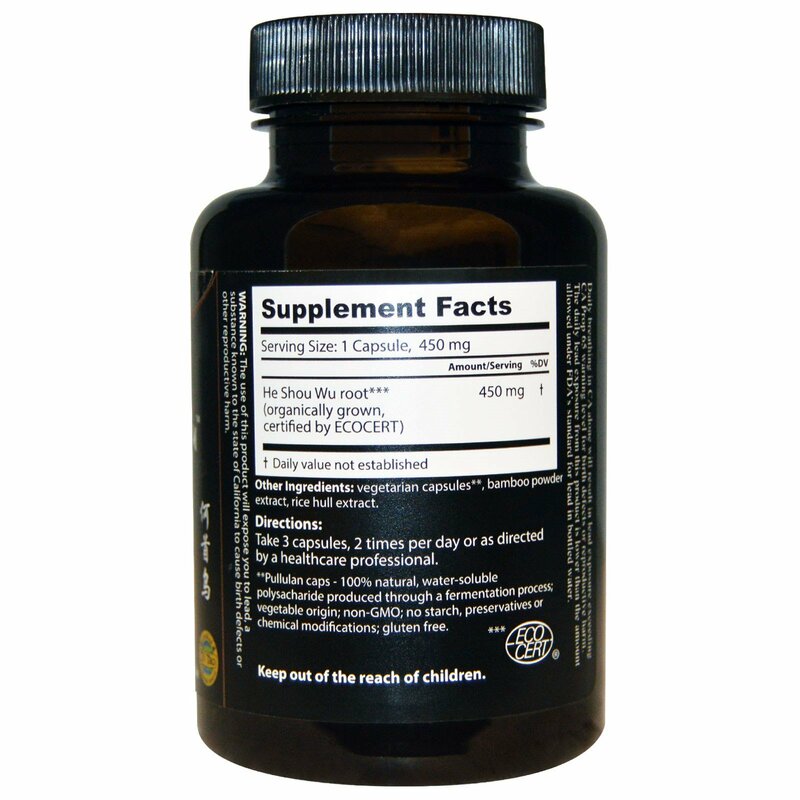 Vegetarian capsules**, bamboo powder extract, rice hull extract. ** Pullulan caps - 100% natural, water-soluble polysacharide produced through a fermentation process; vegetable origin; non-GMO; no starch, preservatives or chemical modifications; gluten free.